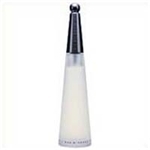 Issey Miyake introduced L'Eau D'Issey in 1992. This feminine scent possesses a blend of fresh water florals including lily. Along with a touch of carnation. L'Eau D'Issey is recommended for casual use. I first bought it in Greece and it is just the most beautiful, fresh perfume. Nice surprise an example of lotion. I love the the long lasting scent.I feel it's worth the price.